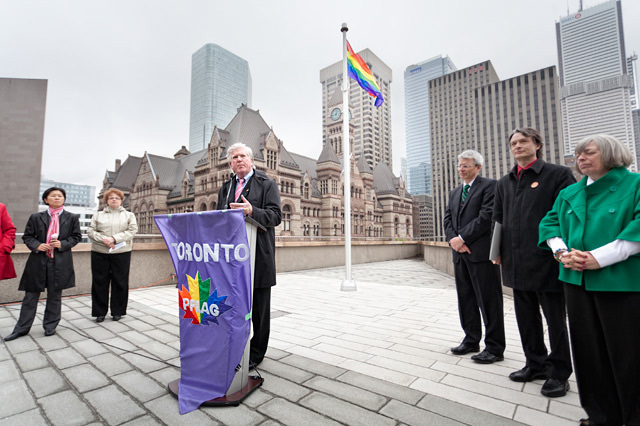 Top: Brian Burke addressing the assembled PFLAG supporters. Bottom: Councillor Gord Perks. 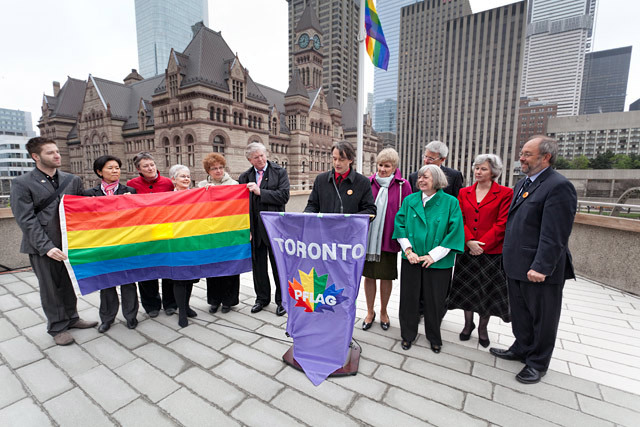 WHAT: To mark the annual International Day Against Homophobia and Transphobia, LGBTQ community supporters gathered at the City Hall flagpole to raise the rainbow flag and show their solidarity. As with yesterday’s Proud of Toronto event, the mayor, his brother, and core supporters on council did not show up—though many other councillors did. In our mayor’s absence, Gord Perks (Ward 14, Parkdale-High Park) read the City’s official proclamation. Photos and reporting by Miles Storey.